Posted on 27 September 2011. 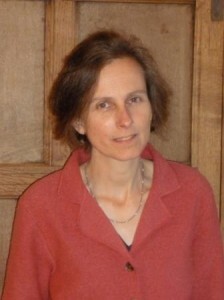 Professor Alexandra Walsham (1990 Commonwealth Scholar, PhD in History, University of Cambridge) recently became the first woman to hold the Chair of Modern History at the University of Cambridge. Alexandra’s research focus on the religious and cultural history of early modern Britain motivated her to come to the UK for her PhD – at the time of her award in 1990, she remembers that the vast programmes of digitisation that have now given people across the world access to early printed books and manuscripts did not exist. Her Commonwealth Scholarship enabled Alexandra to pursue studies in early modern history at the University of Cambridge, and she acknowledges that it had “a completely transformative effect on my career.” Cambridge helped establish Alexandra’s later career. As well as providing access to documents and manuscripts, Alexandra was able to forge important relationships and connections with fellow students and lecturers. A formative influence was her supervisor, the Regius Professor of History, Patrick Collinson, who had himself spent several years at the University of Sydney. Alexandra’s most recent book, “The Reformation of the Landscape: Religion, Identity and Memory in Early Modern Britain” (Oxford University Press, 2011) has been a long process and “has stretched me in many and diverse directions.” The book is an investigation of how the religious changes associated with the Reformation and associated intellectual, cultural and scientific developments affected perceptions of and practices associated with the partly natural and partly man-made environment – trees, stones, wells, hills, prehistoric monuments, and other topographical features – and of the ways in which the landscape was implicated in the making of collective and individual identity and memory.